LG, which recently underwent a corporate shakeup in order to avoid sinking into oblivion, is apparently in no hurry to release its 5G-ready and foldable handsets. The company reportedly already has a plan lined up for next year, and by the looks of it, it will be taking things nice and steady. The beleaguered manufacturer is tipped to kick off 2019 with the Snapdragon 660-fueled 6.1-inch LG Q9 that will have 4GB of RAM, 32GB of internal memory, and a decent 3,000mAh battery. However, as far as the company’s plans as for its flagship range, that will come much later. 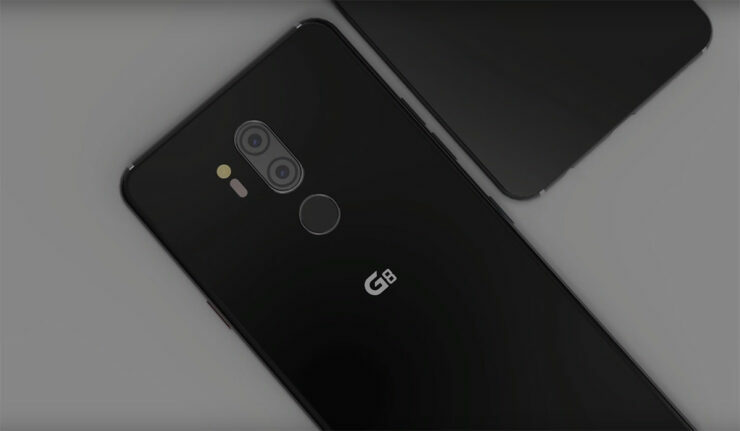 After launching the LG Q9 in January at the CES 2019 trade show in Las Vegas, the company is expected to release the G8 during MWC in February next year. Surprisingly enough, the high-end phone will only support 4G LTE according to the latest report from ETNews, as the company is apparently preparing a separate 5G flagship which will not be a part of the G series. Rumored to be launched in April, the alleged 5G smartphone will be released under a new branding. It is likely to be launched in South Korea and the U.S. initially. The company is presumably not in a rush to adopt 5G as the technology is bound to take some time to spread anyway. Next up is the company’s foldable device, which is not expected to see the light of the day until the third quarter of 2019. LG doesn’t seem to be in a hurry to release its foldable device, unlike Samsung and Huawei, as it probably wants to focus more on the quality of the product. It is in the company’s best interest to focus on quality control, as some of its previous phones have received criticism for issues relating to bootloops and OLED display color shifting. Ensuring the stability and safety of the foldable phone might prove to be more crucial in the long run than beating other companies to the punch. The Korean giant recently hired its home entertainment head to spearhead the mobile business and restore it to reporting a profit after several loss-bearing quarters. It will be interesting how the executive is able to turn things around but we do hope the company puts a lid on that pricing a bit. Where LG’s competitors are launching slightly cheaper or similarly-priced flagships with appealing specifications and features, the Korean behemoth seems to be looking in the other direction. What steps do you think LG should take to revive its ailing smartphone business? Tell us your thoughts down in the comments.